In-depth interview with John Meyer of Meyer Sound (and Mythbusters!) fame. 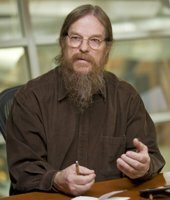 Most of us in the sound reinforcement business would probably agree in recognizing John Meyer, co-founder of Meyer Sound, as one of the most relevant individuals in the industry. His career began in 1967, when he assembled an amplification system for Steve Miller’s performance at the legendary Monterey Pop Festival. Two years later John invented the Glyph, a system that attracted the attention of musicians including Pink Floyd, Janis Joplin and Frank Zappa. In the early 1970s, John helped establish an acoustics laboratory at the Institute for Advanced Musical Studies in Switzerland, where he conducted research on low-distortion horns and integrated, large-scale loudspeaker systems. In 1979, after returning to California, John and his wife, Helen Meyer, founded Meyer Sound Laboratories, Inc., where, to this day, he oversees research and development of new products at the company’s Berkeley headquarters. John and Meyer Sound have received 38 patents. Among many others, John is the proud recipient of the Audio Engineering Society’s Silver Award. ¤ [Doctor ProAudio] - Let’s start from the beginning. How and when did you become interested in sound? What made you decide to pursue a career in sound reinforcement? ¤ [John Meyer] - I started pretty young. My uncle worked doing sound for Disney, which was probably my first exposure to audio. Then, as a kid, I worked at KPFA (Berkeley-based Pacifica Radio’s flagship station). That was when I really got interested in audio technology like tape recorders, transmitters, and so on. I received my radiotelephone third class license at 12 years old, and my second class license when I was 15. Back in those days, everyone on the radio had to have a license, and many people considered the second class license to be the most difficult to earn since it had the most extensive exam and covered a lot of technical theory. When I got to Oakland High School, I continued down that path, building mixers (there were no off-the-shelf mixers available in those days) and helping to show movies on campus during lunch hours. The thing that got me going in sound reinforcement was when Steve Miller asked me to put together a higher fidelity rig for Lonnie Turner, his bassist, to use at the Monterey Pop Festival in ‘67. Within a couple of years of that I developed the Glyph loudspeaker system, which got me a job designing loudspeakers for McCune Sound Service, and that eventually led me to co-found Meyer Sound with my wife, Helen. ¤ [DoPA] - Not a lot is spoken about you wife, Helen. How important has her role been in the company? ¤ [JM] - Helen and I have been a true partnership since the beginning. We founded Meyer Sound together, and the company could not be what it is today without her work. Helen directs sales and marketing, handles countless other business issues, and stays in constant contact with customers. I couldn’t have the focus to direct technology and product development at Meyer Sound if I didn’t know she was managing the company’s operations the whole time. It’s not quite true that a lot is not said about her, either. Last year Helen was given a Women of Distinction award by the East Bay Business Times, and, as far back as 1990, the Audio Engineering Society awarded her a citation for her unique contributions to the audio industry. She’s also been featured in newspaper and magazine profiles, not only for her work at Meyer Sound, but for her involvement in local arts and education including the Berkeley Repertory Theatre and the Mark Morris Dance Group, among others. ¤ [DoPA] - Your official bio includes references to your participation in a few Mythbusters episodes. Except for a few notable exceptions for companies that make domestic as well as professional equipment (such as Bose and JBL), most sound reinforcement equipment manufacturers are not known to the general public. Out of curiosity, have you noticed Mythbusters making yourself and your company more of a household name? ¤ [JM] - We really enjoy those guys. They like to have fun, but they also have a genuine curiosity about things, the result being that we are able to try some interesting things on their behalf. For the “Brown Note” episode, for instance, we were able to generate extreme levels of sound pressure at near-earthquake frequencies. That was a fascinating experience that strongly influenced the design of our Pearson Theatre. As to “Mythbusters” increasing our profile, I don’t know about being a “household word,” but I think more people know who we are, that we’re serious about our science, and that we like having a little fun with it sometimes. ¤ [DoPA] - 10 years ago line arrays were a French oddity and now they are all over the place, even though they cannot offer all of the possibilities of conventional arrays, such as a variable horizontal coverage angle (with a few notable exceptions). Are line arrays here to stay? What comes next? ¤ [JM] - Yes, line arrays are here to stay. They represent an excellent solution to a certain set of needs. We would never make a product just because it’s in style; we make curvilinear array products because they serve our customers well for many situations. As you note, however, they are not a panacea, not the best choice in all cases. Horizontal arrays of trapezoidal cabinets are still very much the right approach for a lot of circumstances. 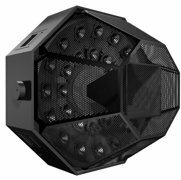 SB-2 de Meyer SoundThere are also a variety of special cases requiring less common strategies, such as the problem of attaining intelligibility at the far end of a stadium, which our SB-1 and SB-2 sound beams do by using parabolic focusing and wave field synthesis principles. Or fill and spot-coverage applications, where an array is not called for. That’s the kind of use our new UPQ-1P was designed for: it’s a trapezoidal cabinet that’s not designed for arraying. This is why we have several very different types of loudspeaker products in our product line, and why we are always engaged in research to figure out better ways to meet users’ needs. In fact, since you ask what’s next, I’ll tell you that we have been working together with CNMAT (UC Berkeley’s Center for New Music and Audio Technology) on a different approach to wave field synthesis, where the wave field is generated by a spherical loudspeaker with many small, individually microprocessor-controlled drivers, as opposed to the more common approach of lining the boundaries of the room with drivers. The loudspeaker can be made to behave like a natural, physical sound source, which holds incredibly exciting possibilities, both for new kinds of loudspeakers, and for better measurement. ¤ [DoPA] - The UPA-1, which will soon celebrate its 30th anniversary, remains your top selling product. What’s the secret of its continued success? ¤ [JM] - It’s no secret, it’s simple: the UPA is an outstanding design that has become a dependable, industry standard. It’s performance still ranks as first-rate, and its characteristics are widely known and understood. 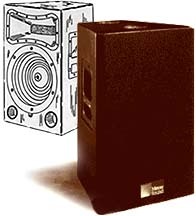 It also was the first trapezoidal-shaped loudspeaker cabinet, which allowed for arraying clusters. The trapezoidal shape was one of Meyer Sound’s first design patents. The UPA-1 was developed out of the technology used in the Ultra Monitor. After the subwoofer we developed for “Apocalypse Now,” the Ultra Monitor was Meyer Sound’s first product, and the beginning of our long relationship with the Grateful Dead. The Ultra Monitor came about because there was a need for a powerful monitor that an audience could see over. At first, nobody would use it because it was so small. At that time, the industry’s idea of what constituted a powerful loudspeaker was still linked to physical size. Anyway, shortly after we created the Ultra Monitor we talked to Abe Jacob (the dean of Broadway sound designers), who needed something small and powerful for his theatrical sound designs. So we changed the box and the horn and came up with the UPA-1. At that time, it was not yet self-powered. ¤ [DoPA] - What is you approach to designing a speaker system? ¤ [JM] - It’s always driven by customer needs. We spend a lot of time talking to the people who are working in the market we want to succeed in. We work with the people who have real knowledge of their profession. A lot of our products get defined almost organically from the feedback we get from customers, and from working with them to solve their audio issues. When we have identified the goal we want to achieve with a new product, then we work out the right combination of the visual aspect and the stuff inside the package (the technology). We take our direction from that and then we do whatever R&D is necessary to overcome the obstacles that stand in the way and get what we need. ¤ [DoPA] - Why does the Galileo preocessor have such a limited choice for crossover types? ¤ [JM] - Galileo was designed to provide system drive for Meyer Sound self-powered loudspeakers. It can certainly be used with other systems, and we are always open to hearing requests from our users. But the fact is that there is little need for crossover filters in a system drive unit for a self-powered system. THE REAL REVOLUTION WILL COME BY MAKING THINGS SIMPLER"
¤ [DoPA] - If you could not manufacture speakers, what we would you like to manufacture? ¤ [JM] - I was interested in optics – I love astronomy – but I thought that most of the major innovations would already have been accomplished by the time I would have begun my career. There was more room for growth in the sound industry. While I certainly believe in knowing theory, I’m not someone who is focused on it; I don’t conduct research for its own sake. I’m much more interested in creating from a practical standpoint. I like to take a hands-on approach. That’s why I’m so involved with measurement: I believe strongly in empirical data. ¤ [DoPA] - Which way do you see the industry going on in the future? ¤ [JM] - It’s a complicated time in audio. There’s so much technology developing so fast. We are seeing so many variations in equipment and so many different media. Most of the equipment is complicated to use, as well, and that is a major issue. We have to simplify our tools and make them more intuitive and user-friendly. Most people are not “power users,” and we want our products to be operable by all of our customers. It’s a real challenge. The real revolution will come by making things simpler. ¤ [DoPA] - Which way do you see Meyer Sound going on in the future? ¤ [JM] - We will be doing what I was just talking about. Meyer Sound products are not fancy shells around complicated systems; it’s not technology for the sake of technology. What we are dedicated to is the idea of technology for the sake of functionality, so we will be moving even more in the direction of simplification. We want to perfect the fundamentals, be able to duplicate a customer’s problem, and offer that customer a streamlined solution to the problem that produces perfect results every time. Our Constellation system is a perfect example. The technology involved in Constellation is considerable. It would be nice if it didn’t need to be, but that’s what it takes to solve the user’s problem. And yet, both the basic objective – flexible acoustics – and the actual method of operation – recalling presets by touching one of a small number of “buttons” on a touchscreen controller – are very straightforward. It’s science and advanced technology in a package that is very easy to use and understand.